With our primary goal of promoting the teachings of the Buddha, Bukkyo Dendo Kyokai (BDK), and our affiliated organizations throughout the world are involved in a variety of activities and programs. We are engaged in many international promotional activities such as the translation and publication of the Taishō Tripiṭaka Buddhist Canon into English and distribution of “The Teaching of Buddha” to public and lodging facilities throughout the world. BDK also established the Numata Program in Buddhist Studies at 15 major universities throughout the world, sponsors international academic conferences and supports several academic fellowship programs to enhance advanced research in Buddhist Studies. 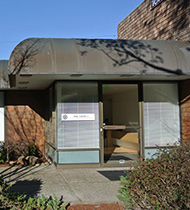 BDK America was founded in 1978. The main emphasis of the foundation’s work in America includes supporting the BDK English Tripitaka Series project, the distribution of “The Teaching of Buddha” books to hotels, prison inmates and public facilities throughout the country and the sponsorship of seven Numata Programs in Buddhist Studies at some of the country’s top universities. BDK America also funds the annual “Toshihide Numata Book Prize in Buddhist Literature” administered by the Center for Buddhist Studies at the University of California, Berkeley. 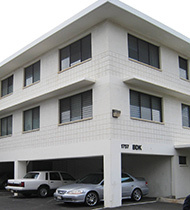 BDK Hawaii was founded in 1978. The main project includes presenting “The Teaching of Buddha” to Buddhist temples and hotels throughout Hawaii, Guam and Saipan. Additionally, BDK Hawaii supports Numata Programs in Buddhist Studies at the University of Hawaii and a special lecture series at Chaminade University. BDK Canada was founded in 1987. In recent years, BDK Canada has made efforts to further distribute the “The Teaching of Buddha” to hotels in Canada by participating in various hotel/hospitality industry shows in cooperation with BDK America and local Buddhist temple groups. BDK Canada also sponsors a one year Fellowship to Japan program for a post-grad to study for one year in Japan. 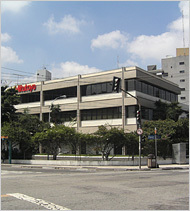 BDK Mexico was established in 1985. One of its main efforts has been the distribution of “The Teaching of Buddha” books to over 1,000 hotels and public facilities throughout the country. 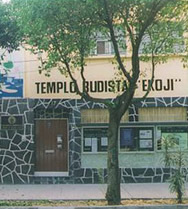 BDK Mexico also operates a non-sectarian Buddhist temple called Mexico Eko-ji in Mexico City where classes on meditation, yoga, as well as Japanese cultural and martial arts are given in addition to Buddhist services and programs. 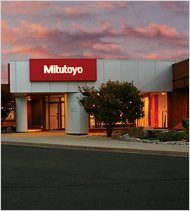 a/c Mitutoyo Sul Americana Ltda. BDK South America was established in Sao Paulo, Brazil in 1980 and since then has been distributing “The Teaching of Buddha” mainly to local hotels, Buddhist temples as well as to medical facilities and educational institutions. 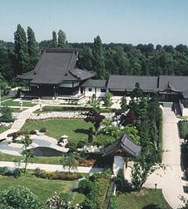 BDK Europe e.v., also known as the EKŌ temple/Japanese Cultural Centre and Kindergarten, was established in 1988 in Düsseldorf. The EKŌ Japanese Cultural Centre presents programs on Japanese culture, which is based on the Buddhist tradition, to Germans and other Europeans. To deepen the cultural exchange between East and West, the centre hosts a wide range of activities, organizes academic symposiums, publishes a Buddhist journal called “Hōrin” and a German translation of a Japanese encyclopedia of Buddhism, furthermore, the EKŌ Centre offers exhibitions, concerts, as well as lessons in Japanese dance, flower arranging (Ikebana), etc. In 1999, the EKŌ Kindergarten was established and provides pre-school education for thirty German and thirty Japanese children. The kindergarten’s goal is to nurture open-minded international citizens of the world in the hopes of creating a peaceful society in the future. 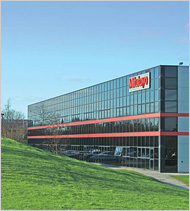 Business Park, Andover, Hants SP10 3UX U.K.
BDK UK was established in 1988. Since its establishment, BDK UK has been distributing “The Teaching of Buddha” to hotels, schools, hospitals, jails etc. throughout the UK, and also supporting lectures of Buddhist studies at Oxford University (Balliol College) and at the University of London (School of Oriental & African Studies). 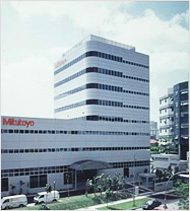 c/o Mitutoyo Asia Pacific Pte. 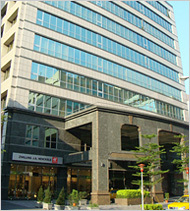 Ltd.
BDK Asia was established in 1999. The main project includes presenting “The Teaching of Buddha” to Buddhist temples and hotel in Asian countries. In the past, BDK Asia presented 32 different language versions of “The Teaching of Buddha” to Her Royal Highness Princess Mahachakri Sirindhorn of Thailand and 5,000 copies of the book to the Thai Hotel Association. BDK Taiwan was established in 2000 and distributes “The Teaching of Buddha” to the hotels and public facilities throughout Taiwan.